"I told a co-worker that I was thinking about buying a place ... he suggested I give George a call because they had bought their townhome with his help ... George and I meet to review what I wanted from my new home. He set me up to search for new listings on his Virtual Office web site. I was able to look for listing on my own time and get the full details. In about two weeks I was able to find a large condo about a block from Kits beach in a solid rainscreened building. If you want an Realtor that knows the market give George a call." "We were thinking about making a move when we received one of George's Just Sold Flyers so we called him in to find out what we could get for our place. Since George was familiar with our neighbourhood he was able to provide a good understanding for us on how much condos were going for. We were also looking for someone we could trust & we were not going to give our keys and security code to just anyone. We also had some really tough terms and conditions that we wanted meet. George gave us the goods and told us that with our terms it would take a while to get the perfect buyer lined up, but since our unit was in such a desired neighbourhood and our unit was in good shape we would likely be able to find the perfect buyer. After a few open houses and a number of showings George was able to sell our condo for the highest sale price to date in our building, with our terms, at very close to our original price point. George also referred us to an excellent Realtor in the area we are looking to move to. The service from George has been excellent and as such we strongly recommend George to anyone looking to buy or sell a home." "I called on a two bedroom condo in Vancouver. After looking at it and realizing it was not the right one George suggested I take a look at a few others in the same area that would be more appropriate. George guided me through the purchase process, answered my questions, stayed within my budget, and helped me get a good price on a nice condo with a view of the North Shore Mountains. I worked with George because I can trust him and I will recommend him to anyone looking to buy or sell a home. George did a good job helping me get my condo so I asked him if he would help me sell my cottage up Indian Arm. I told him it had been on and off the market for 4 years and it was difficult to show because it was water access only. George had it listed for just under one year and after many showings we finally found the perfect buyers for my cottage. George worked hard to sell my cottage so after completion we went to Big Al's to celebrate ... you know ... if you work with your Realtor too long you start to look alike. 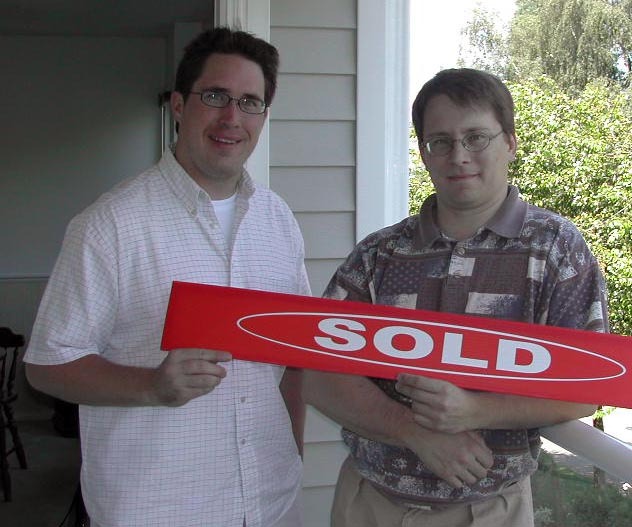 I have recommended George to family and friends for their Real Estate needs." "George was very proactive in helping us find our new home. He set up the showings in the neighbourhood we were interested ... and helped us find a great 2 bedroom town home with an awesome rooftop deck, views of Vancouver, and a river rock fireplace. George was very detail oriented in helping us through the paperwork. If you are thinking about purchasing a new we recommend you give George a call."